How’s the company intend to do that? By making available what it calls “the first consumer wireless mesh Internet network designed to ‘unwire the world.’” First stop, San Francisco. 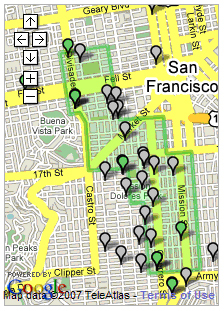 Meraki today announced that, during the next several weeks, it will be working with official in San Francisco to deploy a WiFi mesh network that’ll provide free access to 15,000 residents. Meraki makes just such nodes. Its product page lists two devices: the $49 Meraki Mini (wireless access point and repeater) and the $99 Meraki Mini Outdoors (weatherproof version of the regular Mini). A free, Web-based toolbox (Dashboard) lets you set up and manage your mesh network from anywhere. In terms of global impact, Meraki is a pretty small player (currently there are about 15,000 Meraki product users spread out over 25 countries, which amounts to an average of 600 users per country)—but it’s dreaming big. “We want to bring Internet access to the next billion people in the world,” said Biswas. 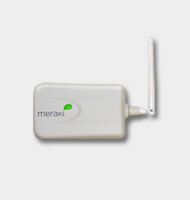 "Wireless networks offer the best opportunity we have to connect the rest of this country and the rest of the world to the Internet and our mesh technology is offering an inexpensive and easy way to do it,” said Meraki founder and CEO, Sanjit Biswas, in a statement. If you live in San Francisco, within the area Meraki is covering, do let me know how this all works out, okay?